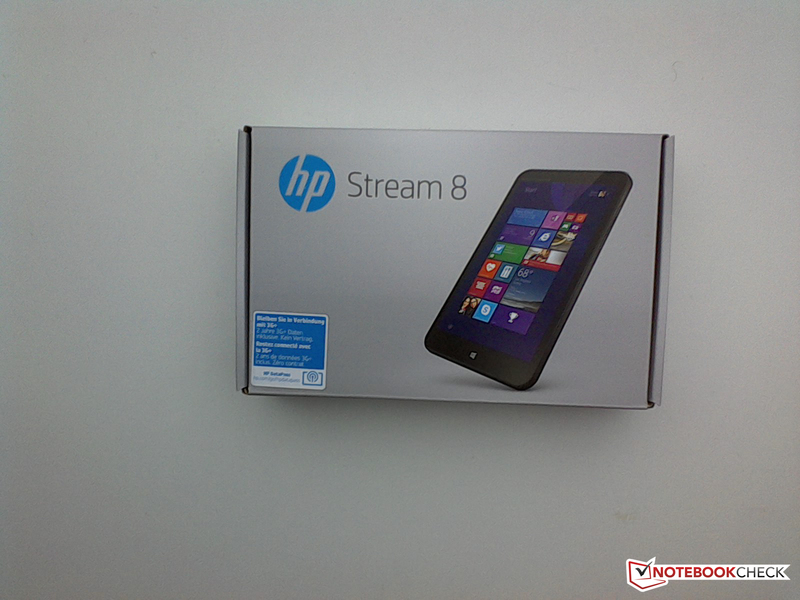 The HP Stream 8 broadens the spectrum of small tablets available on today's market with an interesting feature. 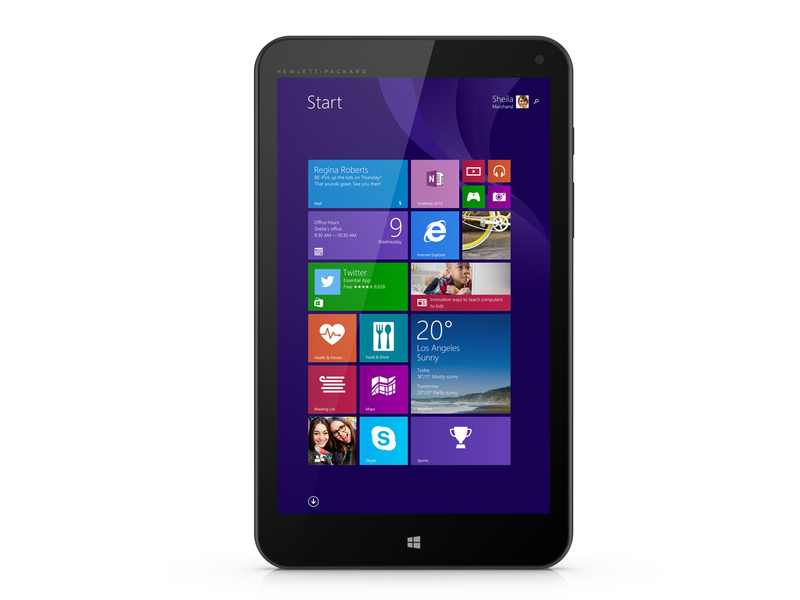 HP's device is a simple 8-inch Windows 8.1 tablet, equipped with a 3G modem. The modem makes it possible to access the Internet without a wireless Ethernet connection - no mobile contract necessary. Owners of this tablet can use up to 200 MB a month of data for two years - for free. But all told, is the Stream 8 an enticing offer? Our review reveals the answer. The Stream 8's competitors consist of inexpensive 8-inch tablets manufactured by other companies - especially Windows models. 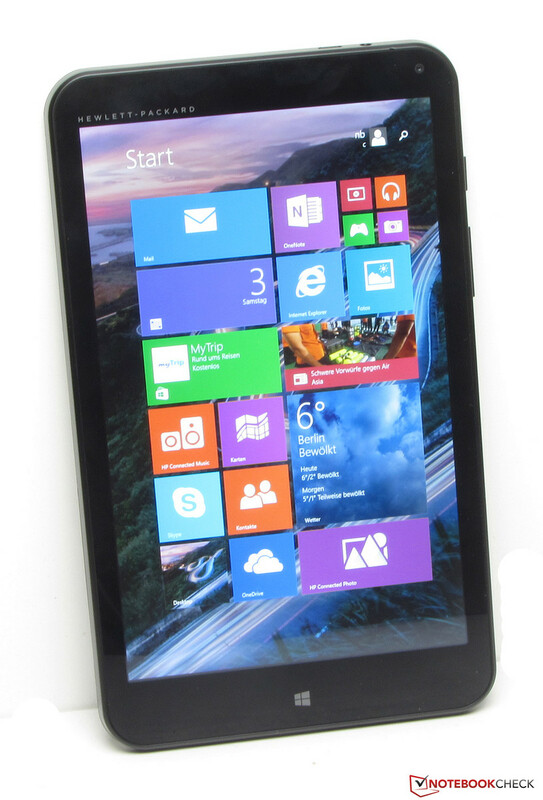 First and foremost comes the Dell Venue 8 Pro 3845, which is equipped with practically identical hardware. Further rivals include the Toshiba Encore 2 WT8-B, the Point of View Mobii WinTab 800W and the Acer Iconia W4-820. None of these competing tablets have a 3G modem on board. The HP Stream 8 weighs about 410 grams (~0.9 lbs). As a reference, the iPad Mini 3 weighs about 341 grams (~0.75 lbs). 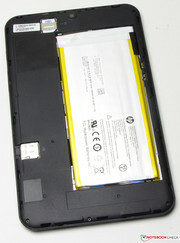 The HP tablet's case is constructed out of black plastic. The back side of the tablet is coated with a matte sheen that shows fingerprints almost immediately. The back side is held in place by just a few plastic clips and can be easily removed. The tablet is solidly manufactured and doesn't exhibit any serious weaknesses. Its stability is reasonably good as well. The Stream 8's case only gives slightly when twisted. 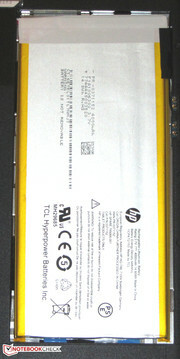 The HP Stream 8 5900ng. The back side of the case can be removed. At first glance, the Stream 8 lacks a microSD slot. But fret not: There is such a slot, hidden under the back lid of the device. Users who switch out microSD cards often will quickly grow tired of this. The positioning of the slot on the back side isn't optimal either, as the card is hard to grasp for removal. The SIM-card slot is also located under the back lid. Besides these two slots, the range of connections available on the Stream 8 is meager. There's a combined audio jack and a microUSB port - that's it. The latter also serves as the point of connection for the power supply. Like the Dell Venue 8 Pro 3845, the tablet doesn't have an HDMI port. There are no connections on the left side of the device. The bottom side of the tablet houses the speakers. The Stream 8 is outfitted with a WLAN module from Realtek (RTL8723BS) that supports the WLAN standards 802.11 b/g/n. At first, the module's connection to our router proved to be stable, and the data transfer rates were more or less constant for the duration of our first few days of testing. But overnight, the Stream 8's WLAN function dropped significantly for no obvious reason. It could no longer find our router (though it stood just a few meters from the tablet), and it barely found any WLAN networks in our vicinity. A complete reinstallation of Windows did nothing to resolve the problem. The tablet also has a Bluetooth 4.0 module on board. The Stream 8 can establish Internet connections via mobile networks. To this end, the tablet is equipped with a UMTS modem from Huawei (MU739). The modem supports HSPA+ and enables the device to reach download speeds of up to 21 Mbps. 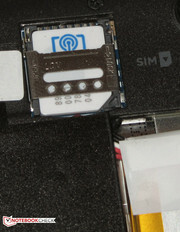 The SIM-card slot is designed for micro-SIM cards. 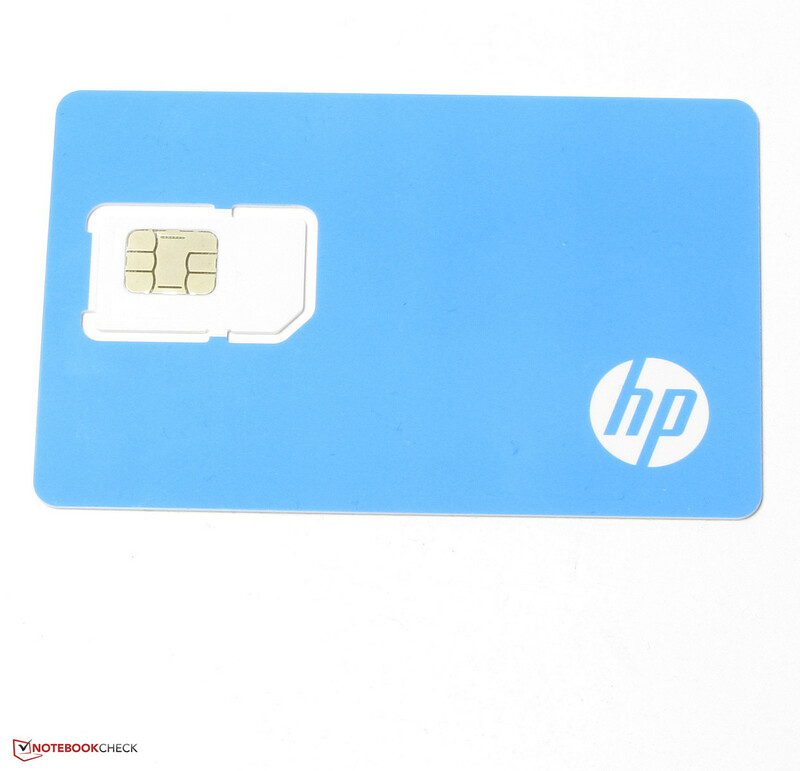 Buyers of the tablet will receive a SIM card with their purchase that authorizes the use of up to 200 MB of free data each month for 2 years (HP DataPass). This data is accessible throughout any country in which Hewlett Packard offers DataPass. Currently, this includes Great Britain, Sweden, Denmark, Ireland, Austria, Italy, France, Spain and Switzerland. 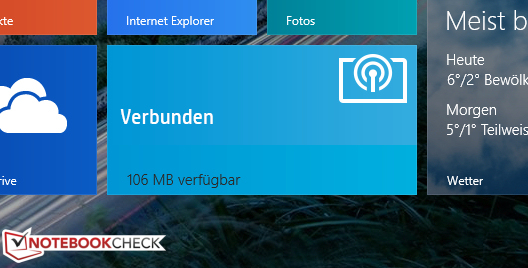 In Germany, the tablet makes these connections over the E-Plus network. The system is simple to use: Insert the SIM card, start up the tablet and establish a connection. The service provider's website comes up the first time. On this website, the user must create a user account. Afterwards, the Internet can be accessed like normal. The provider also requires a copy of the user's government-issued identification card, but this needn't be uploaded immediately. Access to DataPass can be regulated by HP's own app in the Windows Store. This app enables the user to purchase additional data. However, as long as the user chooses not to purchase additional data, the provider doesn't require any payment information. The user doesn't enter into a mobile contract. A SIM card comes with the tablet. The HP DataPass app shows how much data has been used. The Stream 8 comes equipped with two cameras. The webcam offers a resolution of 2 MP. The back camera has a resolution of 5 MP. The latter isn't suited for anything but the occasional snapshot. The tablet comes with the aforementioned SIM card and a quick-start guide. 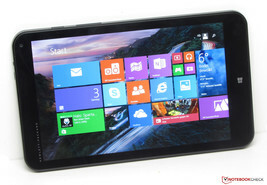 Like most inexpensive Windows 8.1 tablets, the Stream 8 comes with the 32-bit version of Windows 8.1. The 32-bit version conserves more resources - which is important for a device that only has 1 GB of RAM. 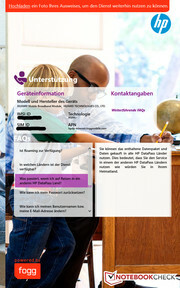 The tablet is accompanied by a year-long license for MS Office 365 Personal. The license must be activated within a certain time frame, otherwise it's forfeited. The back side of the tablet is removable, lending access to the SIM-card slot, the microSD slot and the battery. 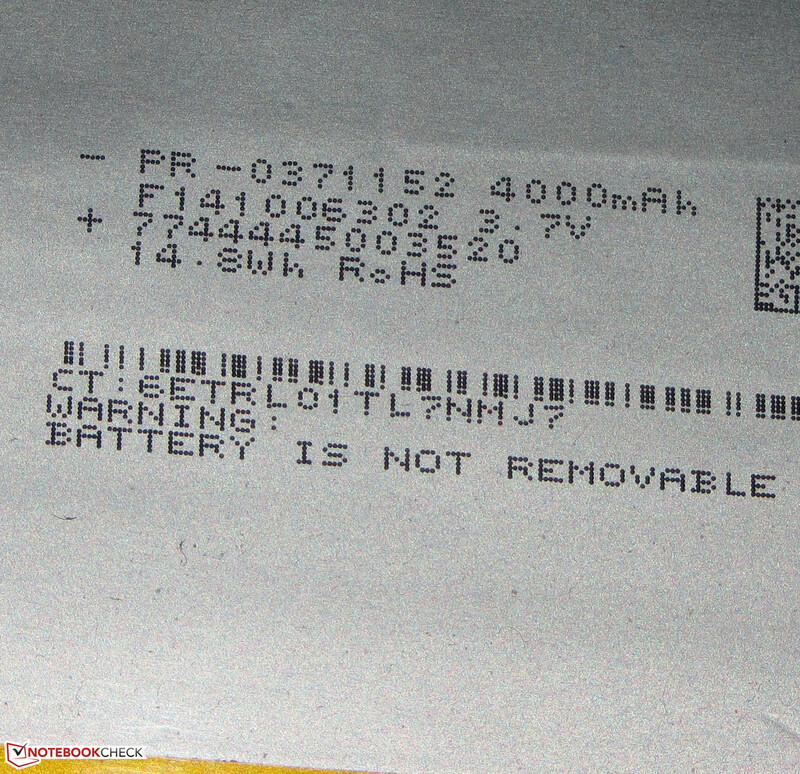 The battery, however, can't be simply taken out - to remove it, the device has to be disassembled further. 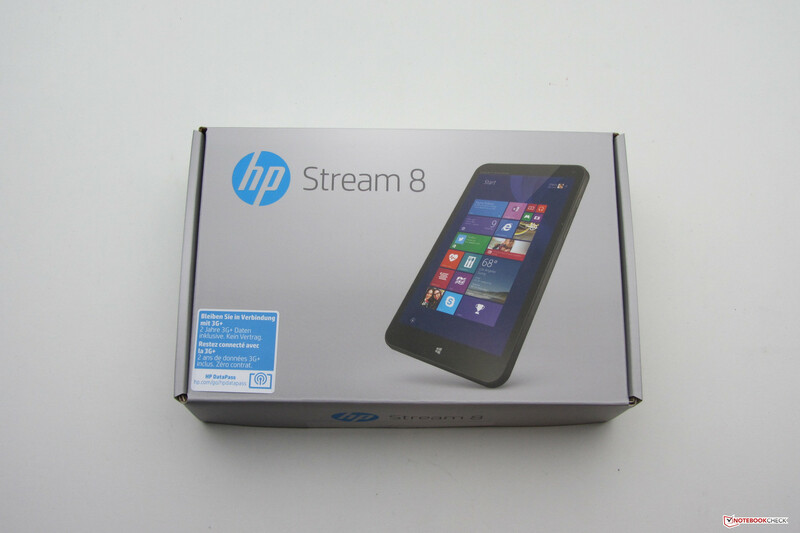 The HP Stream 8 is outfitted with a one-year warranty. The same goes for the Dell Venue 8 Pro 3845. 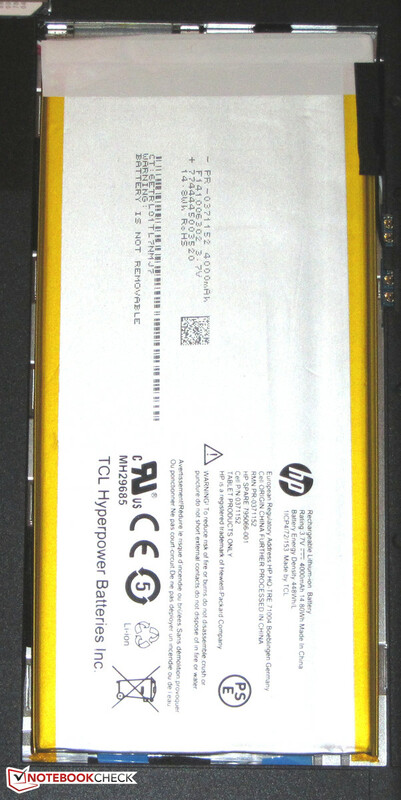 The HP tablet's warranty can be extended to two years for an additional 40 Euros (~$47). HP equipped their tablet with a capacitive touchscreen that supports 5 touch points. The screen functions perfectly and reacts to input promptly. 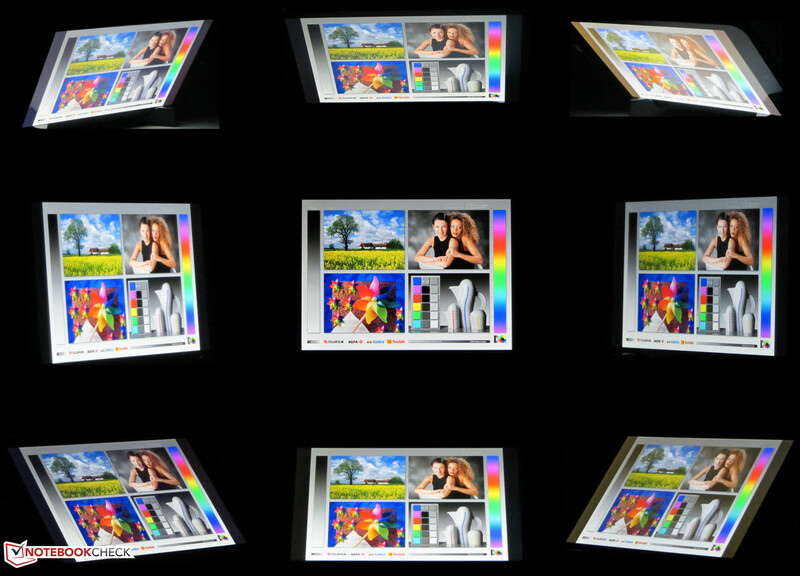 The Stream 8's 8-inch display has a native resolution of 1280x800 pixels. At 327 cd/m², the screen's average brightness is good. 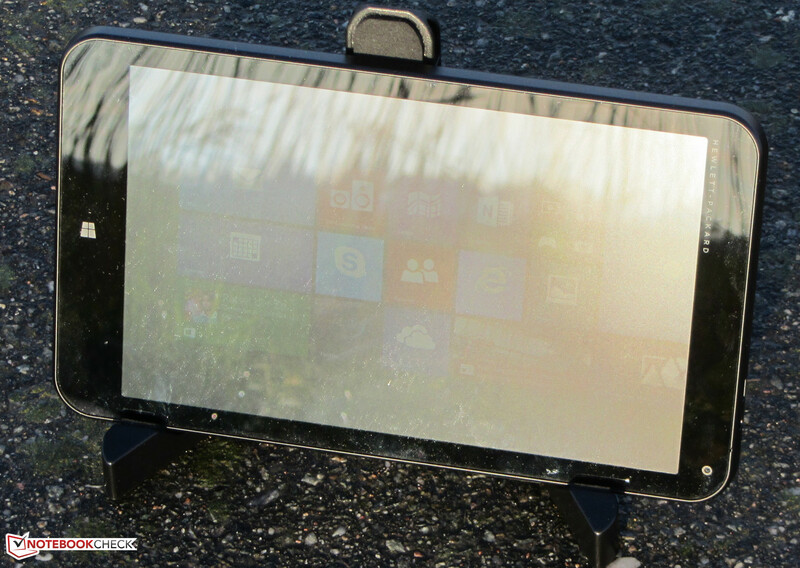 Even so, the Dell Venue 8 Pro 3845 (365.4 cd/m²) shines brighter. The panel's contrast (557:1) and black value (0.61 cd/m²) are reasonably good. 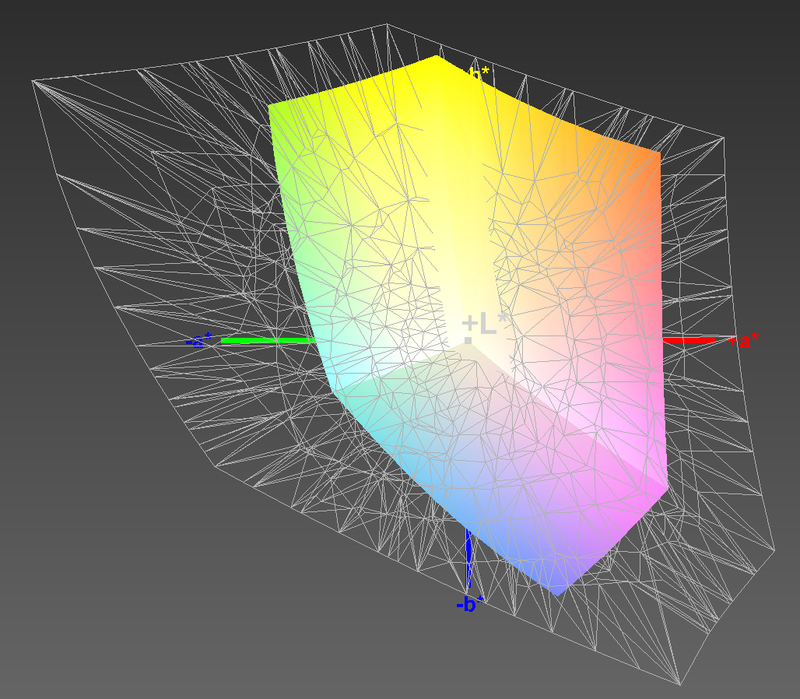 But here too, the Venue 8 Pro 3845 (1091:1; 0.35 cd/m²) achieves better results. The Stream 8 isn't capable of displaying the AdobeRGB and sRGB color spaces. The coverage rates fall at 65% (sRGB) and 46.5% (AdobeRGB). Straight out of the factory, the display's average DeltaE 2000 deviation is 4.89 - not far from the target range (DeltaE of less than 3). At most, the display has a negligible blue cast. HP installed an IPS panel with stable viewing angles in their Stream 8. 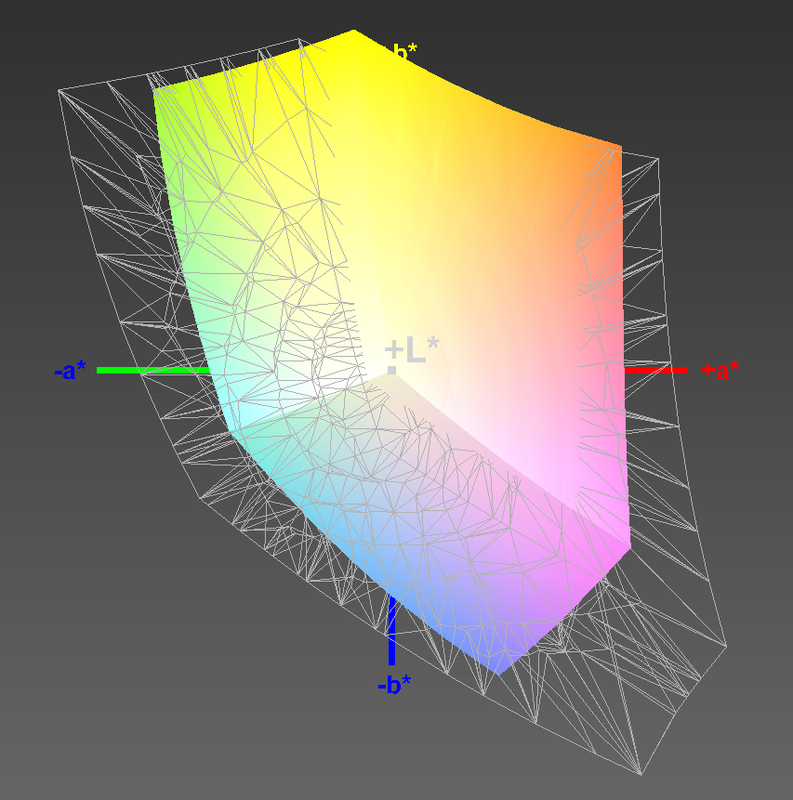 As a result the screen content looks correct from any angle. The tablet is suited for outdoor use. 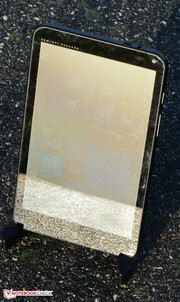 However, due to its reflective screen, direct sunlight should be avoided. The Stream 8 outdoors (photo taken under direct sunlight). 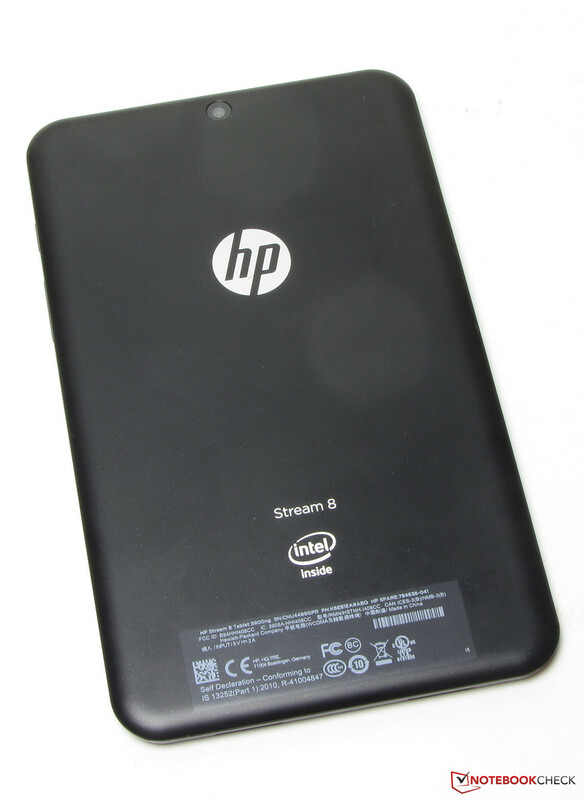 The HP Stream 8 is an 8-inch Windows 8.1 tablet. The device has enough computational power for office and Internet-related applications. The 3G modem enables the user to access the Internet on the go. Our test device is currently on the market for 209 Euros (~$247). We were unable to unearth any additional versions with different hardware, though HP also has a 7-inch tablet on the market with almost identical hardware. This tablet, dubbed the Stream 7, lacks a 3G modem and is currently available for 129 Euros (~$152). The Stream 8 runs on a quad-core Atom Z3735G processor. Thanks to its low energy usage (TDP < 4 Watts), the CPU can be passively cooled. The processor runs at a base clock speed of 1.33 GHz. Using turbo, the speed can be increased to up to 1.83 GHz. The system does in fact use the turbo. The CPU completed the Cinebench benchmark's single-thread tests at 1.58 to 1.83 GHz, while it ran the multi-thread tests at 1.58 GHz. The tablet achieved the same results in both battery mode and AC power mode. The Atom processor's performance power is on the low end. Its AMD counterparts are APUs in the E and A series. If the user only works with the Windows 8.1 touch interface, the system is fast and stable. As soon as a desktop application is opened, however, the meager 1 GB of RAM is definitely noticeable. For example, there is frequently a delay as application windows load. The results in the PCMark benchmarks are more or less what we'd expect of a device with this hardware configuration. With its identical equipment, the Dell Venue 8 Pro 3845 essentially attained the same results. 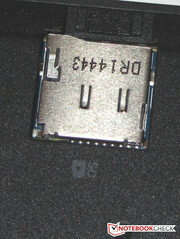 Like most tablets, the Stream 8 is outfitted with an eMMC module. The model at work in our test device has an overall capacity of 32 GB. 19.5 GB remains available to the user. A microSD card could provide additional storage. Buyers of this tablet also receive 1 TB of storage space in Microsoft's cloud service "OneDrive" free - for one year. At first glance, the eMMC storage's transfer rates are disappointingly low. But there's a reason: Out of the factory, the storage is encrypted. After the encryption is deactivated, the transfer rates rise to a normal level for eMMC storage. Intel's HD Graphics GPU accompanies the Stream 8's Atom processor. The core supports DirectX 11 and runs at speeds of up to 646 MHz. The results in the 3DMark benchmarks fall within the normal range for this GPU. In the 3DMark benchmarks too, the Stream 8 and the Dell Venue 8 Pro 3845 are on par with each other. Both tablets' results fall at the lower end of the GPU table. The Intel GPUs can't keep up with their AMD counterparts (the Radeon R3 (Mullins/Beema) cores). The Stream 8 is primarily optimized for games from the Windows Store. The tablet usually has no problem with these titles. 3D games, which require more of the hardware, are mostly unplayable. Only a handful of games reach playable frame rates. 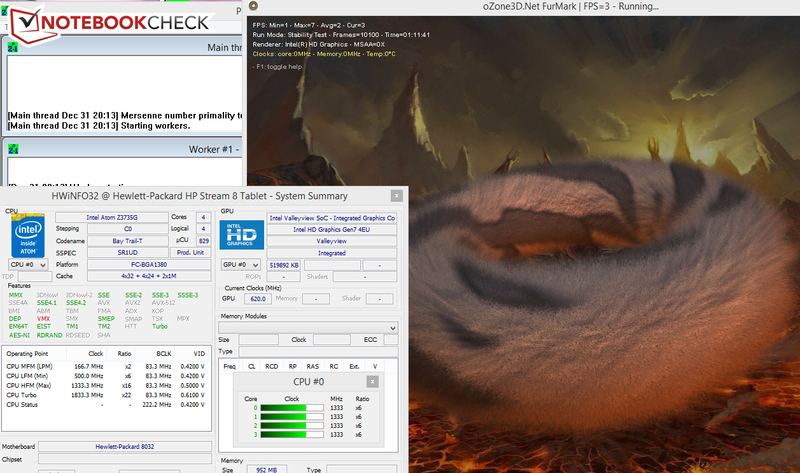 The HP Stream 8 in the stress test. The processor completed our stress test (Prime95 and Furmark running simultaneously for at least an hour) at 1.33 GHz in AC power mode. The graphics core went about its work at 300 to 620 MHz. When we ran the stress test in battery mode, the CPU and GPU ran at 1.58 GHz and 620 MHz (respectively) for the first two minutes. After that, both speeds sank. The graphics core then ran at 300 MHz, while the CPU slowly and gradually throttled to 500 MHz. As the test continued, the CPU speed persistently rose and fell. The tablet never grew excessively warm - only in the area of the CPU during the stress test did the case temperature cross the 40 °C (104 °F) line. (±) The maximum temperature on the upper side is 44.1 °C / 111 F, compared to the average of 34.8 °C / 95 F, ranging from 22.2 to 51.8 °C for the class Tablet. 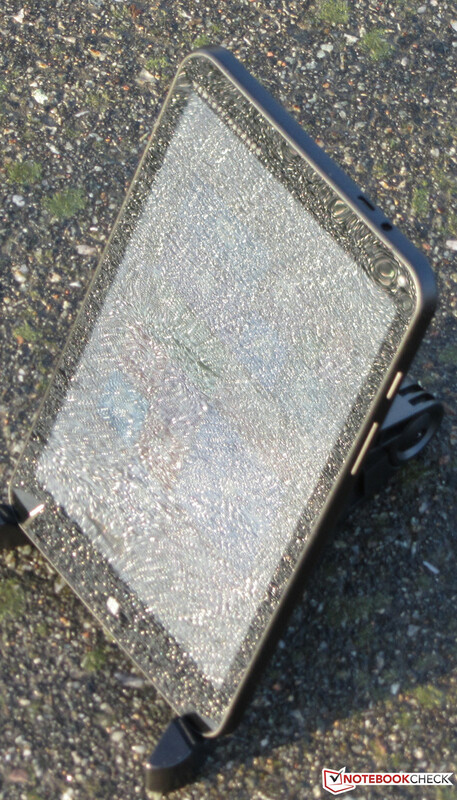 The speakers are located on the bottom side of the tablet. They produce a thin sound that is completely lacking in bass. Speech is easy to understand. Headphones or external speakers can provide a better sound. The Stream 8 proves to be a real energy-saver. In idle mode, the tablet only consumes half a Watt. The display brightness doesn't influence the tablet's energy usage there. 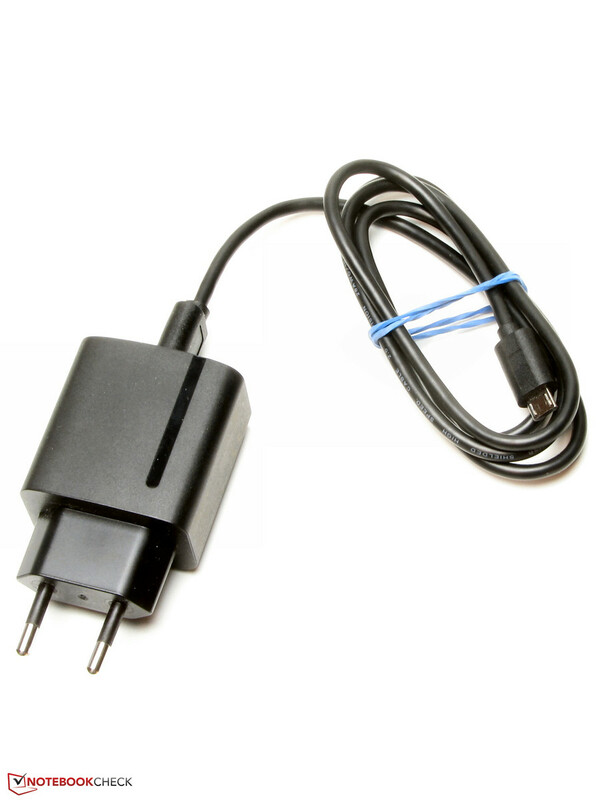 Under load as well, the device's power consumption rates are very low. Under medium load (3DMark06 running), the energy usage is a little higher than under full load (stress test: Prime95 and Furmark running), as the processor doesn't use its turbo during the stress test. Overall, the Stream 8 consumes less energy than the Dell Venue 8 Pro 3845. In idle mode, the Stream 8's battery keeps chugging along for 12:28 h. The Dell Venue 8 Pro 3845 (11:51 h) gives up the ghost a few minutes earlier. We determine a device's battery life in idle mode using the Battery Eater Reader's Test. During this test, the display runs at its lowest brightness setting and the wireless modules are deactivated. Under load, the HP tablet reaches a runtime of 2:39 h. Here too, the Venue 8 Pro (2:10 h) breathes its last breath a little earlier. We test a machine's battery life under load with the Battery Eater Classic Test. Here, the display runs at full brightness and the wireless modules are active. In our WLAN test, which is designed to simulate practical, everyday use, the Stream 8's battery goes to its narrow bed after 5:24 h. The Venue 8 Pro (6:42 h) succumbs a little later. Here we run a script that automatically loads a new webpage every 40 seconds. 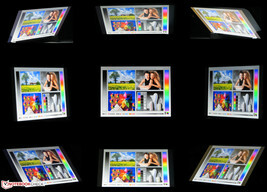 The display brightness is set to about 150 cd/m². We test how long a device holds out while running a video by playing the short film Big Buck Bunny (H.264 encoding, 1920x1080 pixels) on an endless loop. The wireless modules are deactivated, and the brightness is once again set to about 150 cd/m². With a fully charged battery, the Stream 8 manages to keep it up for 5:50 h. The Venue 8 Pro (6:07 h) loses its vital signs a few minutes later. Like the Venue 8 Pro 3845, the Stream 8's only energy profile is "balanced." We performed all our battery life tests with the "balanced" profile activated. In the tests that simulate more practical conditions, the Dell tablet does a little better, due to the fact that it has a somewhat larger battery (HP: 14.7 Wh, Dell: 18 Wh). 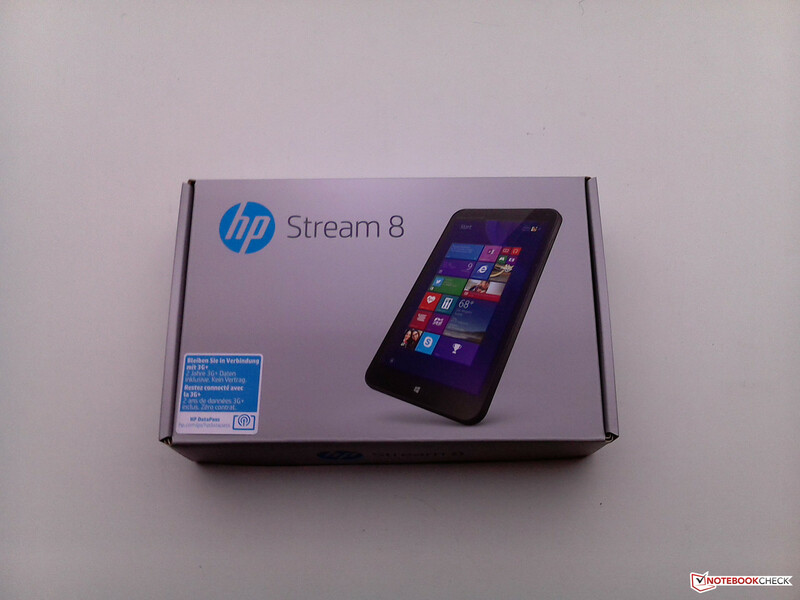 We liked the HP Stream 8 5900ng. The device is a simple 8-inch Windows 8.1 tablet priced at 209 Euros (~$247). The tablet gives the user access not only to applications from the Windows Store, but also normal desktop programs. However, the latter shouldn't be heavily relied on, as the meager 1 GB of RAM proves to bottleneck the system's performance very quickly. But those who only use the tablet to run apps and view media content won't notice the limited amount of RAM. Thanks to its built-in 3G modem, the tablet can access the Internet without a WLAN connection. With the purchase of the tablet, the buyer receives 200 MB/month of free data via a mobile network for 2 years. 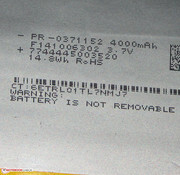 The necessary SIM card comes in the device's packaging. The bright IPS display is also appealing. The tablet's battery life isn't spectacular, but it's satisfactory. If you don't care about the 3G modem, the Dell Venue 8 Pro 3845 is certainly worth a look, as the two devices are almost structurally identical and are equipped with practically the same hardware, but the Venue 8 Pro 3845 costs just 150 Euros (~$177). In our battery life tests that simulate practical, everyday use, the Dell tablet achieved longer runtimes, and its display offers stronger brightness and contrast. 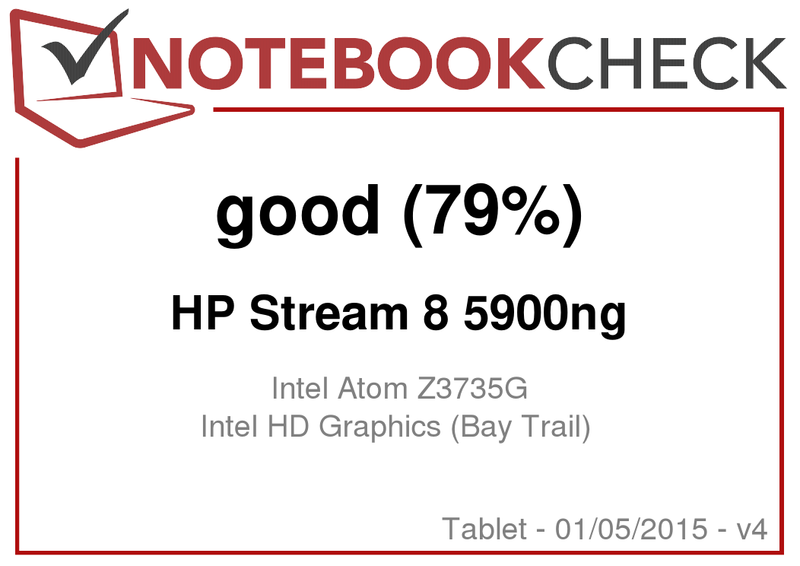 In review: HP Stream 8 5900ng. Test model courtesy of HP store. The back side shows fingerprints easily. The card slots are located beneath the back side of the case. The SIM-card holder is for Micro-SIM cards. 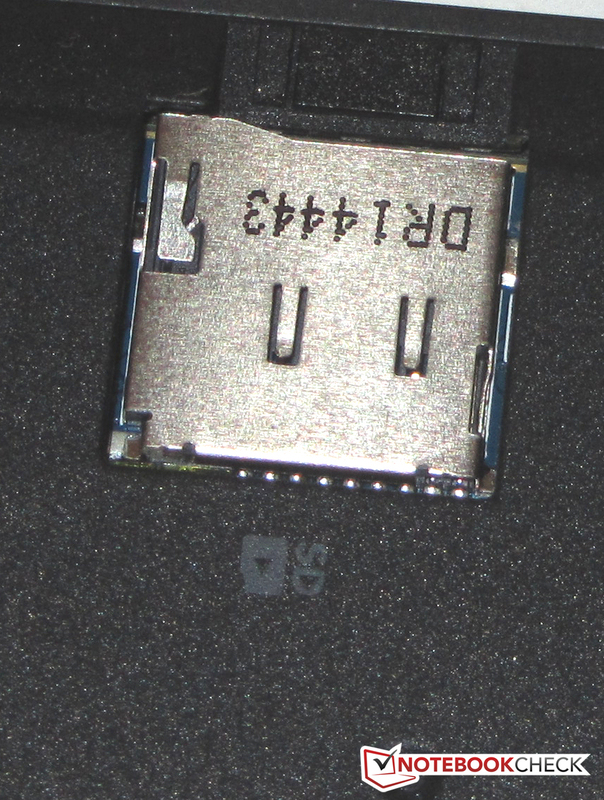 There is a MicroSD slot as well. It has a capacity of 14.8 Wh. The power supply's nominal power rating is 10 Watts. Reflections make it hard to see the screen content in the sun. Additional data packages can be purchased through the DataPass app. A piece of software seems to be responsible for localizing the app. The 3G modem with 200 MB per month of free data. That HP gives the buyer of this tablet 200 MB of free data every month. The mobile connection was very easy to establish. Dell Venue 8 Pro, Toshiba Encore 2 WT8-B-102, Lenovo ThinkPad Tablet 8, Point of View Mobii WinTab 800W, Acer Iconia W4-820-2466, Asus Memo Pad 8 ME181CX, LG G Pad 8.0 V480.